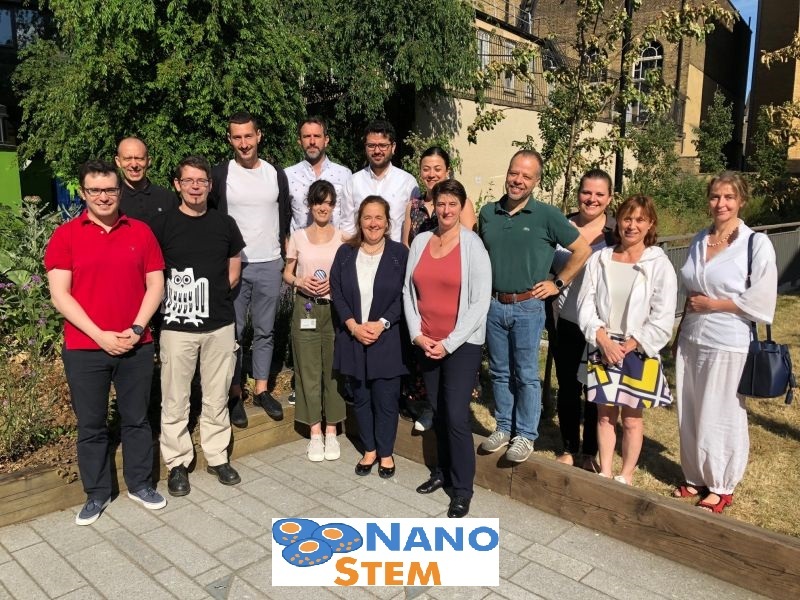 I was really pleased to participate in the kick-off meeting for the launch of NanoSTEM project, a European Marie Skłodowska-Curie Innovative Training Network (ITN) project, this summer. NanoSTEM is a multidisciplinary and innovative project including 11 academic and 3 industrial partners. The scientific aim of this network is to develop and characterize a selected set of advanced nanomaterials, and to study their suitability as novel drug delivery systems to target neural stem cells. The idea is to induce their mobilisation and differentiation in diseased brain areas. The kick-off meeting was held at Queen Mary University of London (QMUL). Pr. Marina Resmini, the coordinator of NanoSTEM project, lead this meeting in a studious – but relaxed -atmosphere. Most discussions were about the implementation of the study plan, the financial organisation and the recruitment of PhD students. Thanks to Pr. Romeo Ceccheli, the BBB expert in our scientific advisory board, for allowing us to join this consortium. This project promises significant advances in the delivery of molecules into the brain in the context of neurodegenerative diseases!